We have some customized printing buttons and lisp routines that load during our ACAD startup for our users here. This was working fine in our previous rollout (2014 ACAD, I know, it's been a while). We are in the process of trying to roll out 2018 and when we open ACAD either by running the program, or opening a drawing, the customizations called for in the ACAD.DVB file simply won't load. However, when we then open another drawing, either by opening a new drawing in ACAD, or opening another existing CAD file, the ACAD.DVB processes and loads all our stuff just fine. We simply cannot get it to load on initial startup for some reason. 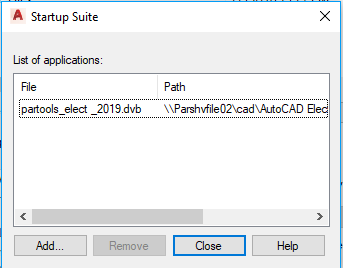 I can provide logs/info or anything else that will help us get this ironed out (as long as you tell me what logs/info you are looking for)..
"C:\Program Files\" was located in the Trusted Paths list, but I also just tried adding "C:\Program Files\Autodesk\AutoCAD 2018\Support\" and this did not correct the issue. #2 position to #1 position in the Support File Search Path and this also did not correct the issue. If we load the dvb using VBAMAN, then go to Tools>References, no references show as MISSING. Hi, couple questions. 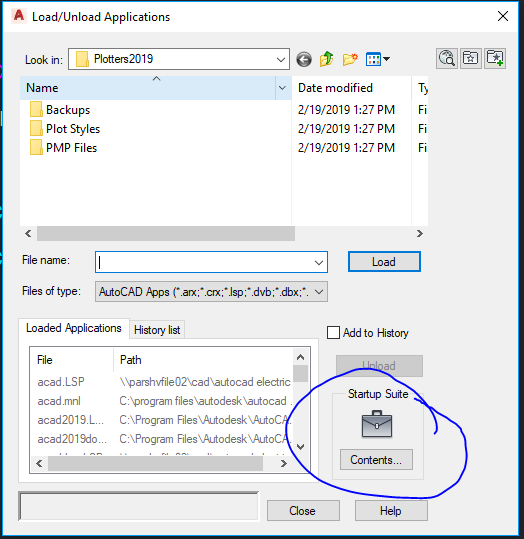 After you launch Autocad, go to "Load Applications". Select the Contents button in the lower right corner. Do you see your DVB file? I sounds to me like you might be using a lisp routine when it works after you open a drawing. Check to see if you have a lisp file called acaddoc.lsp in your support folder. That gets called every time a drawing gets opened. acad.lsp gets called at initial launch of Autocad. Hope I didn't misunderstand your question.